Submarine chaser SC 309 was built at the Puget Sound Naval Shipyard in Bremerton, WA, nand was commissioned at Puget Sound on 18 May 1918. This was one of two chasers (SC 309 and SC 310) assigned during the war to service in Alaskan waters. 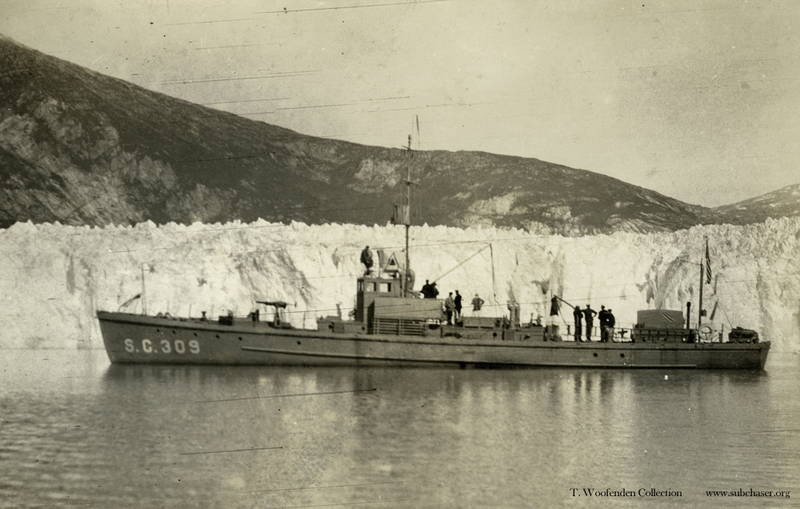 Photograph of submarine chaser SC 309 at Taku glacier. T. Woofenden Collection.